Have you ever had an Azure instance that just was not performing up to your expectations? We have. And in the past, they were very hard to get rid of without affecting your entire cloud deployment. 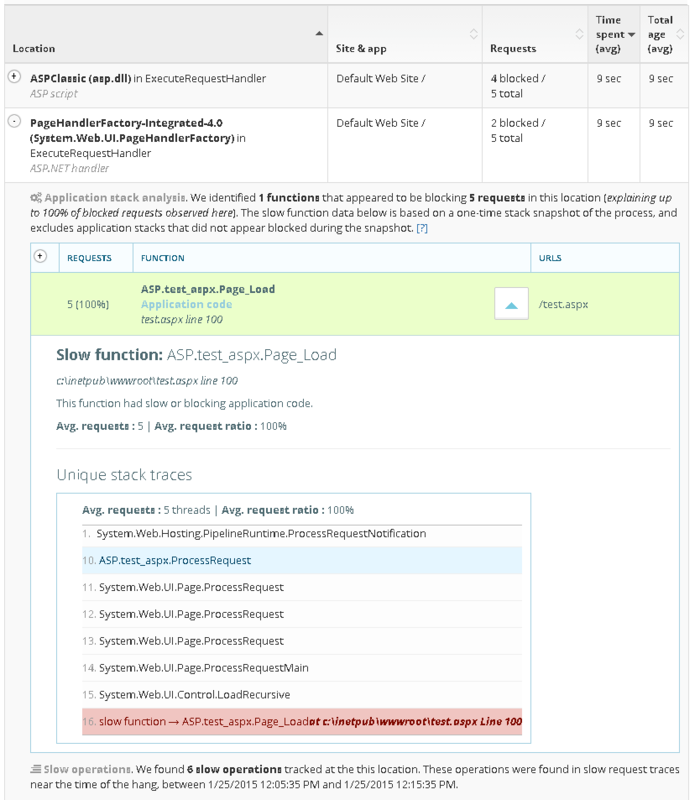 In this week’s How-To post, we’ll cover the new API that lets us easily remove an Azure instance that is performing poorly or has become unhealthy. We also share a tool we wrote to automate the removal, so you can remove dead Azure instances quickly whenever you need. Read more: Azure: Remove unhealthy or slow role instances. 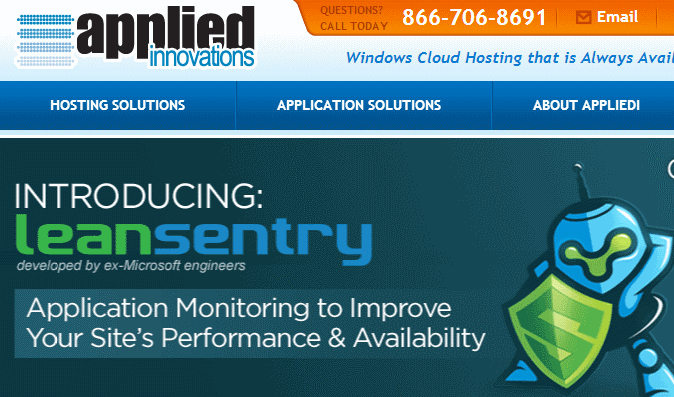 Back when we launched LeanSentry 2 years ago, we had a lot of issues with Azure instances not performing up to our expectations. In particular, the Azure host processes would die whenever the instances experienced high memory utilization from our custom cache layer, and begin to constantly recycle the role/reboot the VM. This caused service outages during times of peak usage. Back then, the only way to take an instance out of rotation was to do VIP swap, or to scale down the service to a point where the offending instance would be removed (and so would all other instances with higher instance ids). Because we maintained a lot of in-memory and on-disk state on the instance, both of those options would be a huge no-no. So, we lobbied Microsoft to create an option to remove a specific instance, instead of trashing half of your service. The Azure team came through and finally released an API to do this. This has been a godsend, allowing us to intelligently manage how we scale up and down so we can keep the instances with the highest efficiency / warmest cache. For more on how to when to do this, and a tool to quickly delete instances, check out the How-To post here. In the last 2 years, we’ve helped thousands of big and small companies to improve their IIS servers & ASP.NET applications. Today, we are announcing LeanSentry How-To: a series of best-practice guides to help you solve common performance problems & improve your site health. To get these, sign up for our How-To series at LeanSentry How-To. If you have specific areas or questions you would like to see covered, email us or post them here anytime. 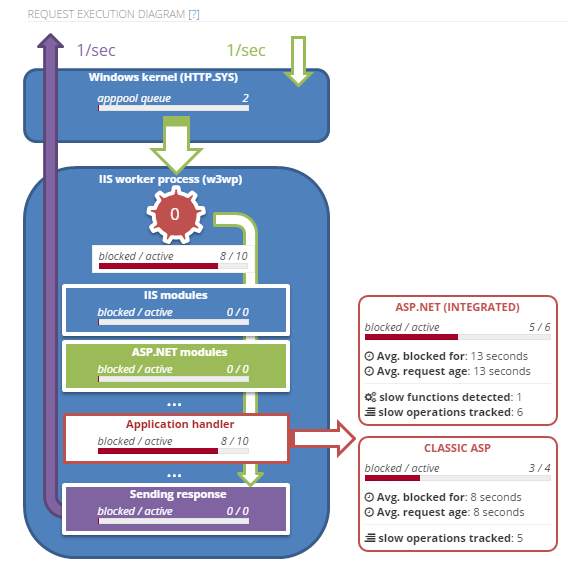 In the last several months, we’ve worked hard to provide automatic diagnostics for most application problems on the Microsoft web platform … hangs, request queuing, errors, high CPU, and so on. 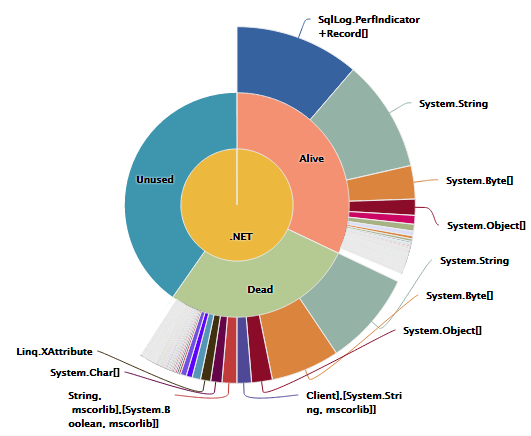 Even though LeanSentry can automatically detect and and diagnoses many of these problems, it can sometimes it can be difficult to see how they all relate … and how they impact the overall health of your web application. Alert layers uses layers of bubbles to show you all your performance problems, and how they affect your application’s health … directly on the application’s health timeline! With these alert “bubbles”, you can instantly see where alerts took place, how they affected your request satisfaction in that moment, and how they related to other alerts. This can often tell a more complete story then looking at each alert in isolation. 1. Hover over any alert to show it on the graph. 2. Click the alert number to make the alert “sticky” so it does not go away when you hover over another one. Click again to hide it. 3. Hover over alert bubbles to see more information. 4. Click a bubble to go to the alert page, and diagnose it!To check this out, simply log into your dashboard and pick an application. More good stuff coming your way! Next, we are working on improving our alert pages so they are easier to understand, and show you the problem diagnosis right away. Watch for big improvements here next week! 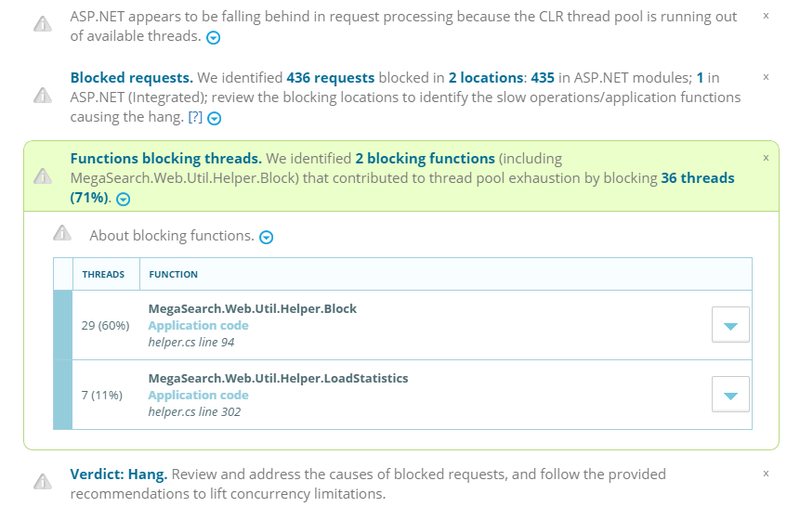 Fix ASP.NET problems FAST with Troubleshooting Tasks! Tasks are simple, step-by-step wizards to help you fixing ASP.NET problems. Our users wanted a simpler way to solve common problems without finding them in the LeanSentry dashboard. And that’s exactly what we built. This also leverages the new slow operation tracking feature we announced last week, which tells you what causes your slow requests by tracking the operations that slow them down. More tasks are coming over the next couple weeks. Do you have a suggestion for a task you’d like to see? Let us know!